Fall is officially here, and now that we’re done with the beta previews for Guild Wars 2: Heart of Thorns, we return to our monthly news updates for MMO Co-Opportunities. This month, we take a look at Wildstar (now free-to-play with its first ever holiday event coming up), Guild Wars 2 (its recently announced elite specialization for the engineer) and Camelot Unchained (archetype trio announcements). Wildstar wrapped up its free-to-play beta (switching over from a subscription-based system) and released to as the masses as a free-to-play MMO at the end of September. Hot on the heels of the switch came the announcement that Wildstar would be receiving its first-ever holiday event. Called Shade’s Eve, the event will offer a new expedition (Quiet Downs), new public events, and new daily quests. 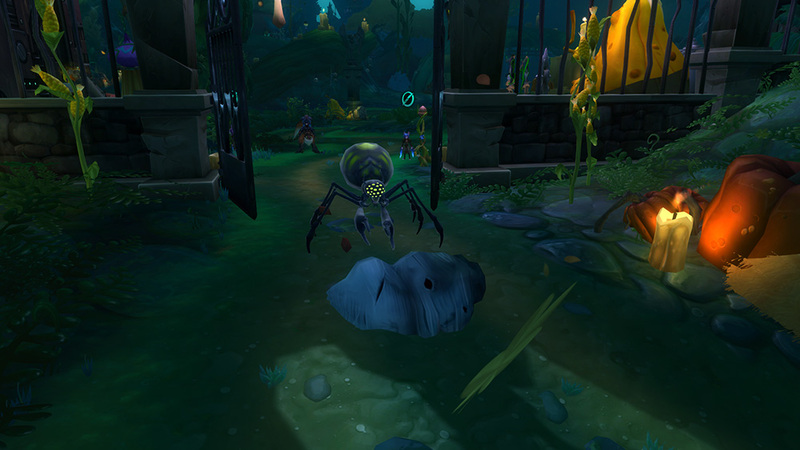 Rewards for participation in the event will include a new companion pet (the Shadeling), housing items, and costume pieces. The Capital cities will act as hubs for the event’s quest and instance. In order to participate, characters must be at least level 10. Quiet Downs is a level 50 expedition for 1-5 players, but characters that are low than level 50 will be temporarily scaled up while in the instance. Shade’s Eve will run from October 19th to November 2nd. I may have wrapped up my beta weekend previews for the upcoming Guild Wars 2 expansion, Heart of Thorns, but we still have almost two weeks before its release. The last elite specializaion to be announced was the Scrapper for the Engineer profession. 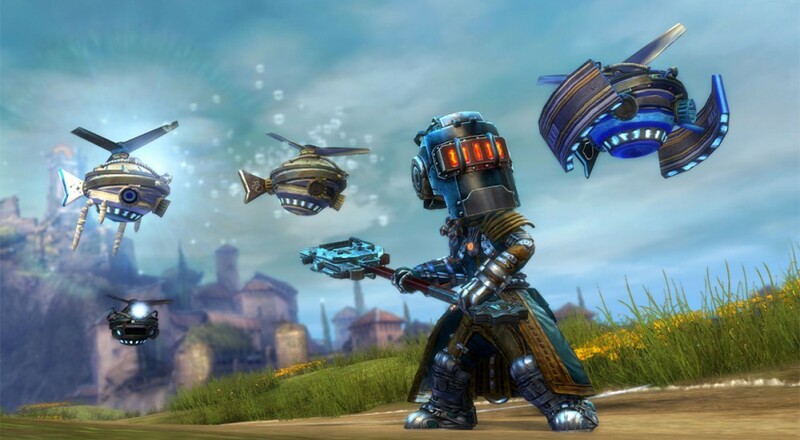 The Scrapper’s special weapon is the two-handed hammer which grants the engineer access to mobility skills like Rocket Charge as well as defensive skills like Shock Shield. Scrappers also get a new class mechanic called Function Gyro. This allows them to rally allies or finish off enemies from range, something no other profession can normally do. The finishing touches to the Scrapper’s new skills are new utility skill options. 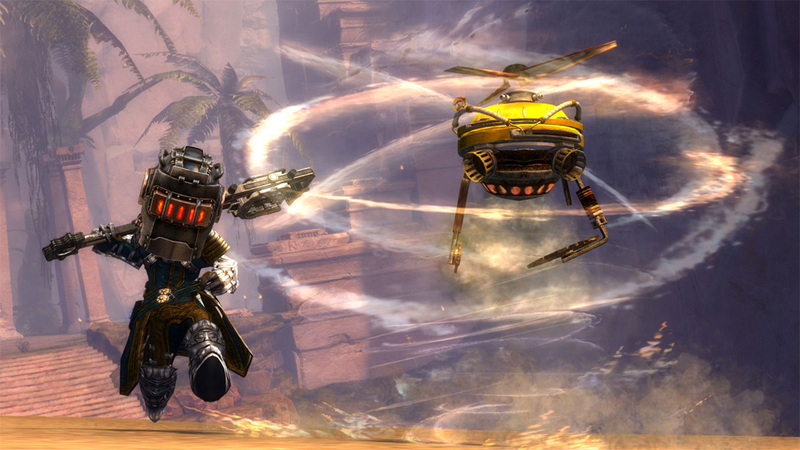 Heart of Thorns will introduce gyros for Scrapper utility skills. These are tiny hovering machines that will only last for a limited amount of time before they blow up. While they’re around, though, they will help out allies by doing things like getting rid of conditions or providing an invisibility shield. And, of course, the Scrapper will have its own unique trait line, emphasizing the new things it brings to the Engineer table. Heart of Thorns is due out October 23rd, 2015. Development continues on Camelot Unchained, the spiritual successor to Dark Age of Camelot. Over the last few weeks, a class reveal page has surfaced, dividing the classes of the game into 10 archetypes (3 classes per archetype with one each per faction). The archetypes were at first all only referred to by a letter with accompanying silhouettes of concept art. Kickstarter backers have been asked twice to vote for which archetype trio they want the team to reveal. So far, two archetype trios have been revealed: the Devout and the Archers. Information on all of the revealed classes include samples of Banes (restrictions or detriments that the class suffers) as well as samples of Boons (benefits or perks that the class enjoys). 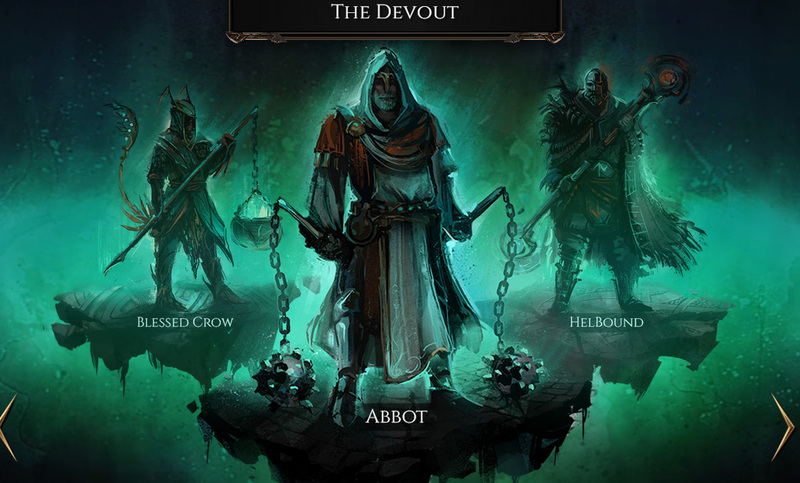 For example, the Abbot is the Devout class of the Arthurian faction. Abbots have the Vow of Humility Bane which disallows heavy armor use. Their Vow of Sacrament Boon, however, means that they enjoy increased movement speed and reduction of recovery times after imbibing alcohol. While Camelot Unchained is currently in the midst of a very long and involved development process, things are looking very promising. The archetype reveals are providing a lot of information about the game as well as doing a lot to increase the excitement of fans. I’m looking forward to more reveals in the future. What about you guys? Are you participating in any fall holiday events in your chosen MMO? Any new class announcements for your most hotly anticipated MMO? Tell us in the comments below! Page created in 0.5941 seconds.